In our ERP application, we have a function that handles sharing of stored or online generated document via email. In this function "mail_attachment()", we have an option to use Swift Mailer when available as module to handle the attachment. Basically, the function handles the parameters received and prepare them for sending using a twig template. The name of the key to identify the mail template used ('attachment'). The above parameters are important to build the message template. We the create the file swiftmailer--ek_admin--attachment.html following the obove parameters that we used in our module, being the module name and the key. Feel free to add your comments or own experience with Html email with Drupal 8. Please i'm new to drupal. i want to know the files to put the code above. 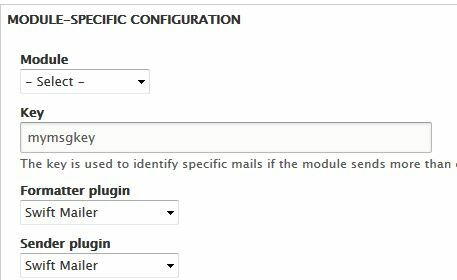 mail_attachment() can be included in main module file , i.e. MyModule.module. Same goes with function MyModule_mail() (hook_mail function, in our case called ek_admin_mail() ). Twig template goes under templates folder. I've followed the steps of your tutorial, thank you for putting it together it has been very helpful. Unfortunately, the twig template I've created for the module is not being used when rendering out the email. Drupal 8 is completely ignoring it even though i've named it following the naming convention they provide in their example http://cgit.drupalcode.org/swiftmailer/tree/templates/swiftmailer.html.twig file. My module name is MyMsgLogger.module and the twig template I've created is named swiftmailer--MyMsgLogger.html.twig and it never gets called while rendering the email that is sent. If i then create a swiftmailer.html.twig file template and send an email it renders out using this twig template. 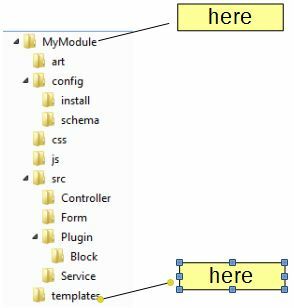 Why would the twig template with my module name not render? Is there something I'm missing? I've cleared cache (drush cr) and even restarted the web server figuring something was caught in the cache but it still doesn't work with my module. Did you try swiftmailer--mymsdlogger.html.twig ? yet it still falls back to using the swiftmailer.html.twig template. I also tried clearing all of my caches as well and it still only loads the swiftmailer.html.twig template. When I rename the swiftmailer.html.twig to swiftmailer.xhtml.twig it then throws a WSOD with a message "Unable to find template "themes/my_theme/templates/mail/swiftmailer.html.twig" in the Drupal theme registry." Is there any additional steps or config files i need to update with this new twig template name? Looking at your description, everything seems correct. Everything is configured properly. I even went back through and rebuilt the module to make sure I didn't miss any steps and the result is still the same. At this point I'm now trying to identify where within either the swiftmailer module or core php code it determines the name of the rendering template to use to see if maybe I've overlooked some other setting or configuration.